Florida’s recount is over (we think). Here are the results. The deadline for the state’s 67 elections departments to transmit their final vote totals from the Nov. 6 midterms to the state came and went Sunday at noon following a grueling 12-day machine and manual recount. Cross your fingers. Knock on wood. The Florida recount is over. The deadline for the state's 67 elections departments to transmit their final vote totals from the Nov. 6 midterms to the state came and went Sunday at noon following a grueling 12-day machine and manual recount. The results are scheduled to be certified and made official Tuesday by the state's elections canvassing board. Missing ballots and blown deadlines in Broward and Palm Beach continue to lend uncertainty to the situation. But the hectic two-week affair appears to have confirmed what seemed true all the way back on election night: that Republican Gov. 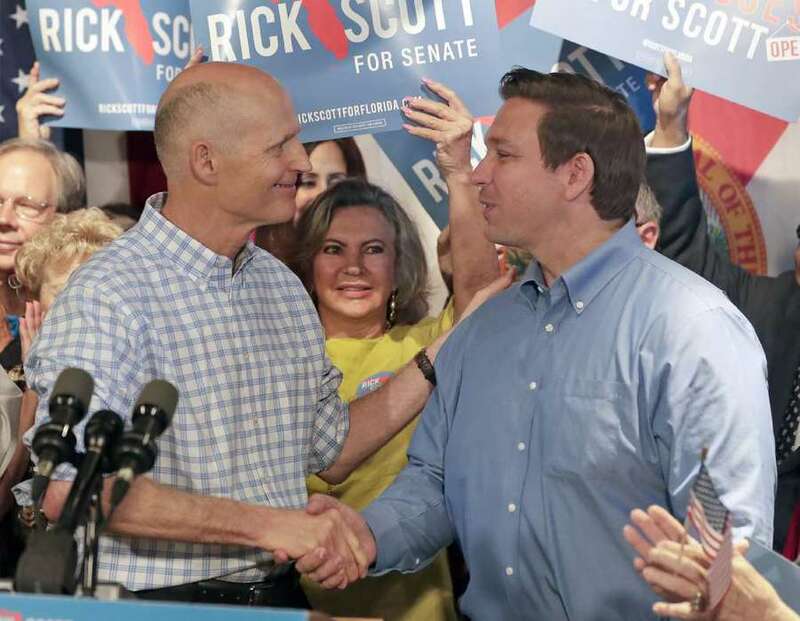 Rick Scott beat U.S. Sen. Bill Nelson, Ron DeSantis is Scott's successor, and the country's most divided state is also its most insane place to hold an election. "Elections are a messy business," said Barry Richard, an attorney who represented losing gubernatorial candidate Andrew Gillum and 18 years ago worked for George W. Bush on the infamous presidential recount. "But I don't think this state is any more screwed up than any other state in terms of whether things could have been smoother." 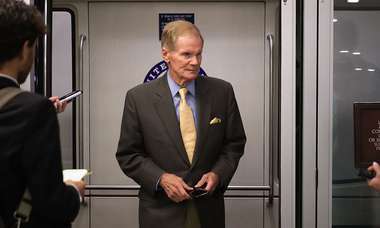 With the final recount deadline having passed, all eyes are now on U.S. Sen. Bill Nelson, a Democrat who filed a flurry of mostly unsuccessful lawsuits after election day in the hopes of making up a 12,600-vote gap with Scott. Nelson has yet to concede, but his campaign announced that he will be releasing a video statement at 3 p.m. today. Once the results of the election are certified Tuesday, Nelson will have a 10-day window to file a challenge. Gillum, meanwhile, released a video Saturday congratulating DeSantis on his win, signaling that he has no plans to fight. In an email Sunday morning, Scott's campaign continued to rib Nelson, saying the manual recount deadline gave the three-term Senator another choice: "Be remembered as the statesman who graciously conceded after 42-years of public service… or be remembered as the sore loser who refused to face the people he served." Nelson, according to a source familiar with his campaign who spoke Saturday to the Miami Herald, "understands the circumstances and wants to let the process as provided play out." People familiar with Nelson's actions confirmed a POLITICO report that Nelson gave what felt like a farewell speech Friday. The speech came in the Orlando headquarters of the Florida Democratic Party after hand recounts showed that tens of thousands of undervotes in Broward County — where Nelson's campaign believed a machine issue may have led to scores of votes going uncounted — were in fact blank ballots from voters who simply skipped the U.S. Senate race. Democrats' lawsuits, meanwhile, mostly fell flat. Federal judge Mark Walker shot down attempts to invalidate the state's process for determining voter intent, declined to extend a machine recount deadline and rejected a bid to validate thousands of mail-in ballots that were rejected because they didn't make it to elections offices by a 7 p.m. deadline. Walker did agree to give a second window of opportunity to absentee voters whose ballots were rejected over signature issues, but that decision appears to have resulted in maybe a few dozen new valid votes, at best. Other, down-ballot and local races across the state were also subject to hand recounts. But the only other statewide race that hinged on the fate of the manual recounts was the contest for agriculture commissioner between Nicole "Nikki" Fried and state Rep. Matt Caldwell. Results in the race — the closest of the three statewide races to go to a recount — flipped some 36 hours after the polls closed as thousands of late-breaking ballots were tallied, particularly in Broward and Palm Beach. Continued problems in those counties raise the possibility that Caldwell, who trailed by just 5,307 votes heading into the manual recount, could sue. Broward's elections supervisor misplaced more than 2,000 ballots during its machine recount, and as a result the county's canvassing board chose to combine its manual recount totals with its original unofficial totals submitted to the state Nov. 10 before the recounts began. That decision placed Caldwell further behind Fried. Palm Beach County, meanwhile, never started its manual recount for the agriculture commissioner's race, so it's impossible to know if Caldwell would have pulled closer to Fried, even though Palm Beach leans Democratic. Elections Supervisor Susan Bucher, said her staff would continue counting ballots regardless until the recount was done, which could be somewhere between Thanksgiving and Christmas. A lawsuit by the Nelson campaign seeking to force a manual recount of the entire 500,000-plus ballots in Palm Beach County still lingers. "The outcome is pre-ordained at this point, but that's what's happening," said Eric Johnson, a political strategist for the Fried campaign. Caldwell's campaign did not respond to requests for comment Sunday. Florida's recount sequel officially launched Nov. 10 when razor-thin margins in races for U.S. Senate, governor and agriculture commissioner triggered a relatively new state law that requires recounts for any race decided by one half of a percentage point or less. The process lingered into Sunday when the races for Senate and agriculture commissioner were also close enough to trigger a second recount by hand of tens of thousands of ballots spit out by vote-tabulation machines. The recount — coming 18 years after the U.S. Supreme Court stopped an order for a statewide recount in Florida over the narrowly decided presidential race between Al Gore and George W. Bush — was covered minute-by-minute in the national news. Republicans, led by Rick Scott and President Donald Trump, accused Snipes and Bucher without evidence of overseeing widespread voter fraud. Armies of attorneys descended on Florida, and millions of dollars poured into the state to fund legal efforts. Florida's political leaders have already said that it's likely they'll reexamine the state's recount and elections laws in 2019 when the newly constituted Legislature meets for the first time. And election law experts say there's a clear need to revisit issues related to the certification of vote-tabulation equipment, ballot uniformity, "deadlines and policies for rejecting absentee and provisional ballots. But, despite the fact that Florida once again became a punchline for nightly talk show hosts, the procedures put in place following the 2000 presidential recount also seem to have largely worked. Unlike that process — which left it to candidates to request recounts in specific counties — this time the state had clear mandates and deadlines. And, fingers crossed, it looks like those deadlines will stand. "For the most part I think this thing has gone pretty well," said Democratic consultant Steve Schale, who was among the first to predict that the state was headed for another recount. "It's certainly not the s–t show we saw in 2000." 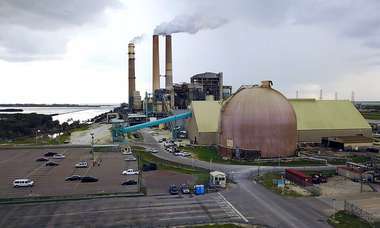 Miami Herald reporters Samantha Gross, Kyra Gurney and Alex Harris contributed to this report.